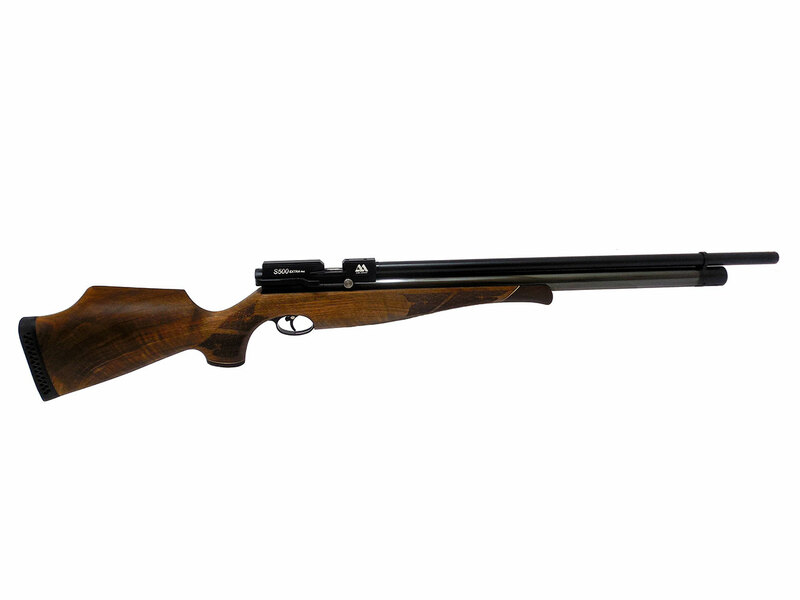 Please note: these guns may be marked XTRA or EXTRA, but are the same gun. 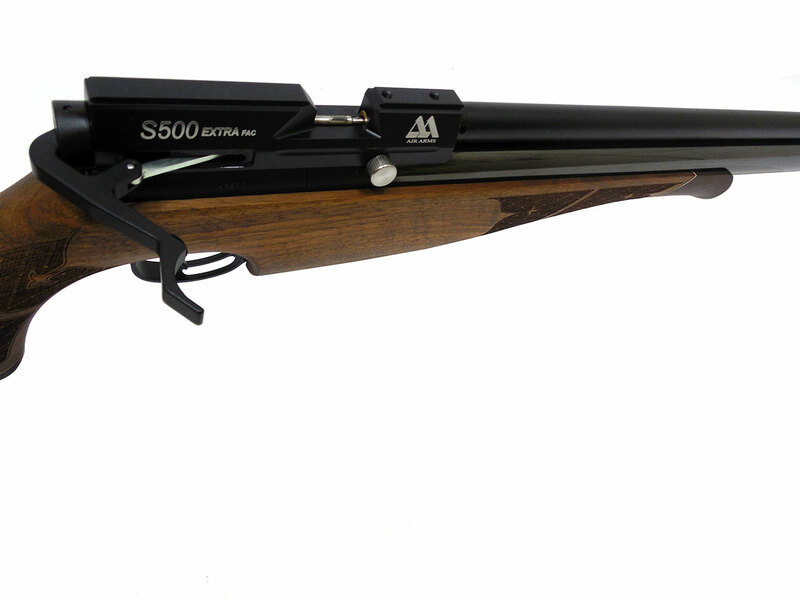 Similar to the S510, but a single shot instead of 10 round repeater. 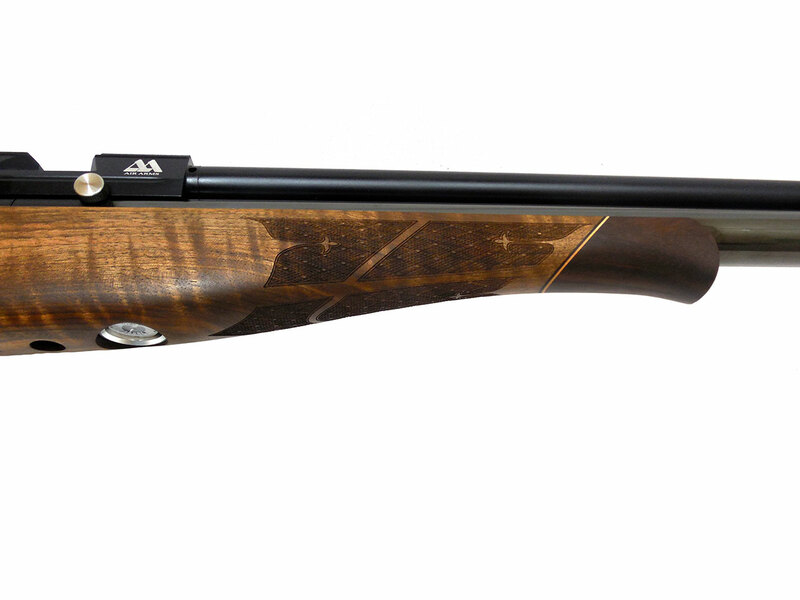 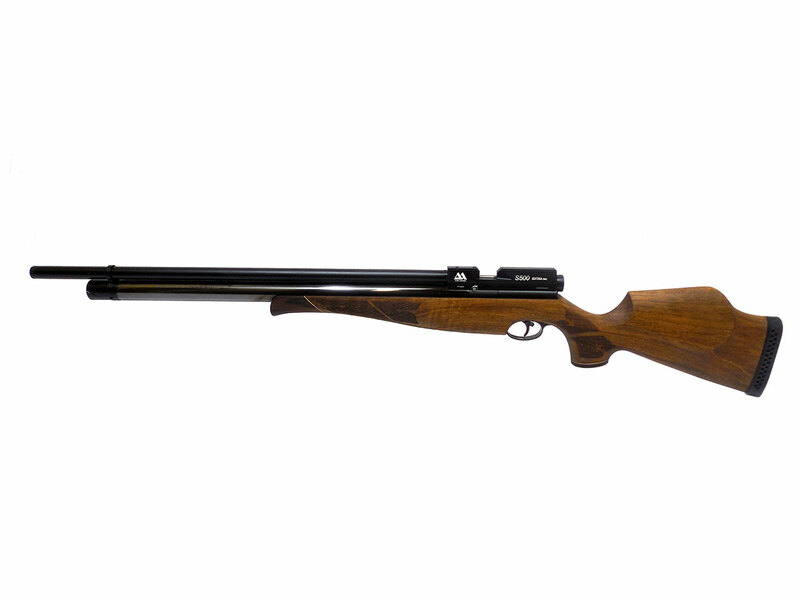 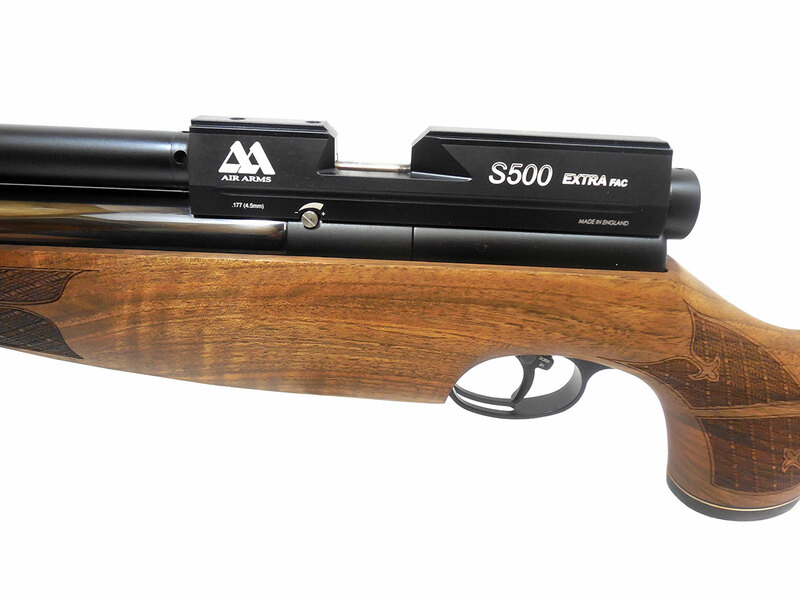 The S500 XTRA FAC from Air Arms is a PCP / HPA air rifle, and available in .177 or .22 caliber. 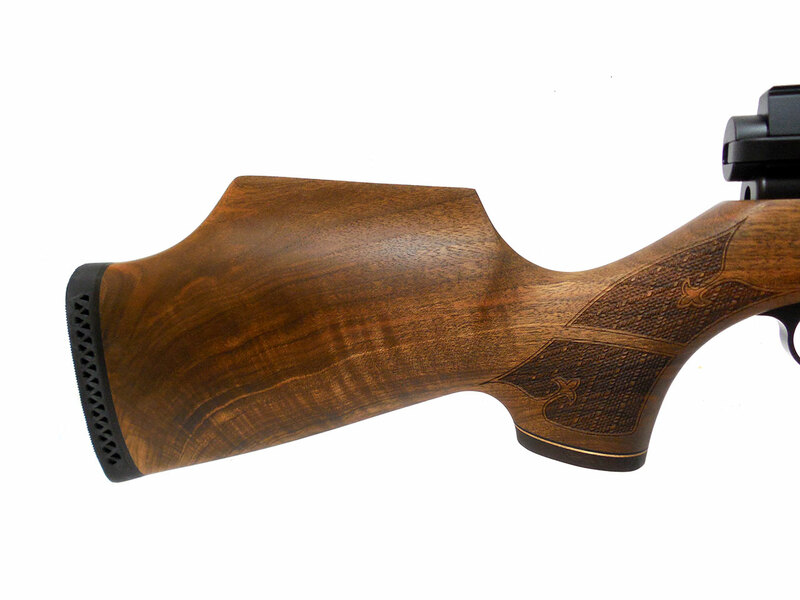 It comes with a beautiful walnut Monte Carlo stock with checkered grip and forearm. 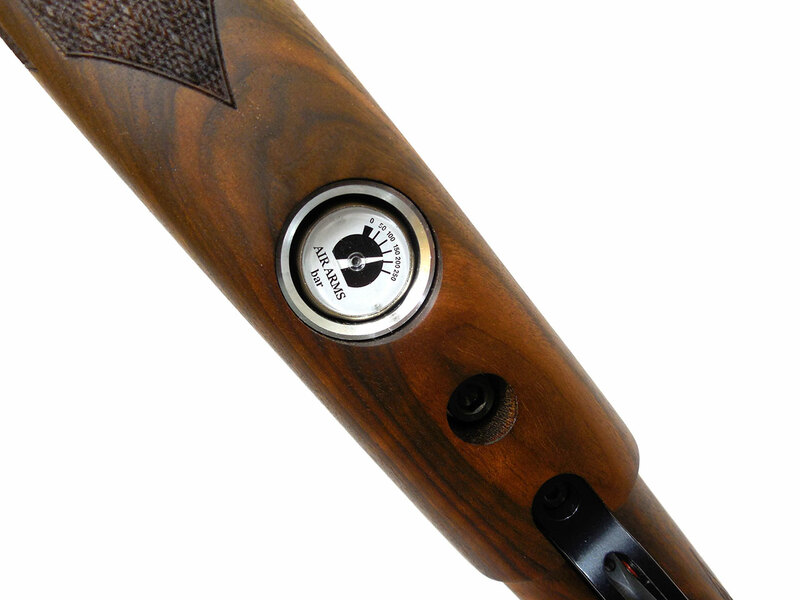 It was built to offer the high tech features coveted by many air gunners while still maintaining simplicity. 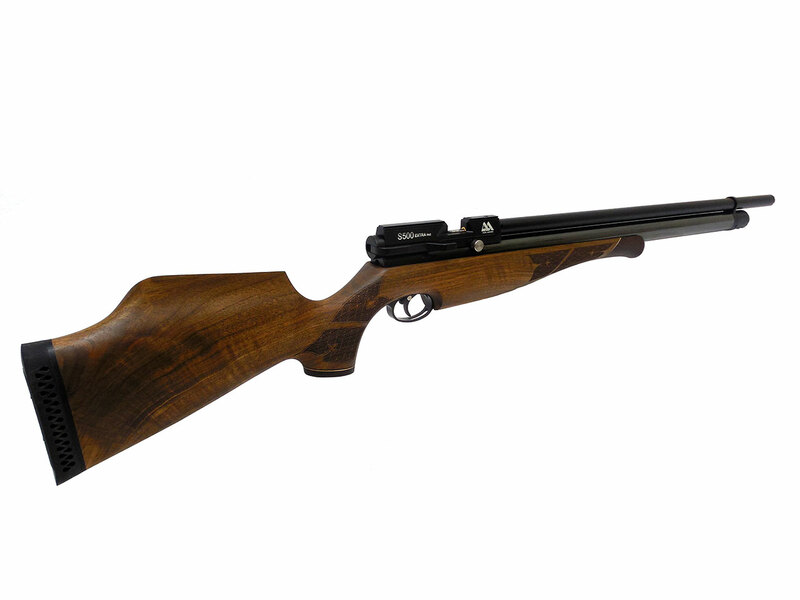 This rifle was built to guard from contaminants via bronze particle filter making regular maintenance minimal.